Over the past few years, I have posted a few select projects to Facebook, Twitter and LinkedIn, as well as blogged or distributed Press Releases. Not everything we do is post-worthy, so I have tried to keep the posts to interesting subject matter, great scripts, super production values, that sort of thing. The intent is to simply remain visible in this sea of data. Stay in someone’s mind in case a project comes up that might require my voice. Not really selling anything specific, just a little social networking. Well, all that changed yesterday, when I got the email from ACX that my first audio book is ready for people to actually buy on audible.com. 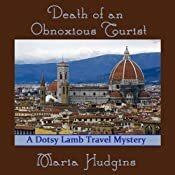 “Death of an Obnoxious Tourist” by Maria Hudgins. Now I need to promote it – and ask people to buy it and listen to it. And when they do, they get to comment and rate the result. The ability to quickly click on a star to rate the performance has me chewing my cuticles. What if people don’t like it! I learned a lot about the process of recording an 8 and a half hour book. Overall, I enjoyed studying the book to learn about the various characters. I enjoyed the actual reading of every single word – which is something that I discovered I don’t actually do when reading a book to myself. I skip a lot of stuff – skim through passages. But when reading an audio book aloud, you need to read every word. It wasn’t easy. There were chapters where every sentence was a struggle to articulate. Was it the time of day? Was it what I had had to eat? Was it the way the words were juxtaposed on the page? And when the words come out in bits and spurts, you have to be even more careful in the editing to make sure that the end result is smooth. I learned that I am super critical – but was I critical enough? Will the people downloading and listening and then taking the time to rate – click 5 stars or 1 star – or somewhere in between? Will my various accents stand up to the scrutiny of native speakers? The book includes several Italian, British and Canadian characters, as well as an “east coast” sound, and a slew of just normal North American. In retrospect, I could have given one of the main characters a slight southern accent, but I didn’t really think of that until far too late in the process. Oh, well. Lesson learned. Recording an audio book is a labor of love. Do I love it? Well, with the first one under my belt, I am interested in doing it again to see if I actually learned those lessons! So, here goes – out to the universe. Hit me with your best shot social media. And if the reviews come back mixed, I hope the comments are constructive, so that the next project will be significantly better! Study the trends, reflect on the past. Do we want to repeat history? Well, I guess that depends on how you feel about the past. In some cases, we must not repeat it, and without getting political, we really do need to be vigilant about remembering the past. There are some recent signs that people are forgetting. If you want to study up and philosophize on our voiceover past, I ran across a post on the Comprehensive Technical Group’s blog that highlights the Duke University digital library of vintage television commercials. They go back some three decades, from the 1950s to the 1980s. Some of the early spots are worth looking at again. It truly was a different time. Here is a spot for Ansco film – with a jingle, an announcer, and a cop in uniform taking a picture of a cute young couple at the park. So, many many many thanks to our incredible group of supporters. My friend Peter O’Connell (voice talent, bon vivant and also a Frequent Faffer) was part of the team making calls to potential sponsors as well as following up with the many sponsors who simply contacted us and said they wanted to support FaffCon. We were astounded actually at the number of people who did that, and are eternally grateful for every one of them. Below I have provided a list of our great Faffcon 4 sponsors. My request is that you take a look at their links and while purusing their sites, if you see anything you might want to purchase that they offer…please do so and mention you found them through FaffCon. And thanks. FaffCon 4 is Fast Approaching! 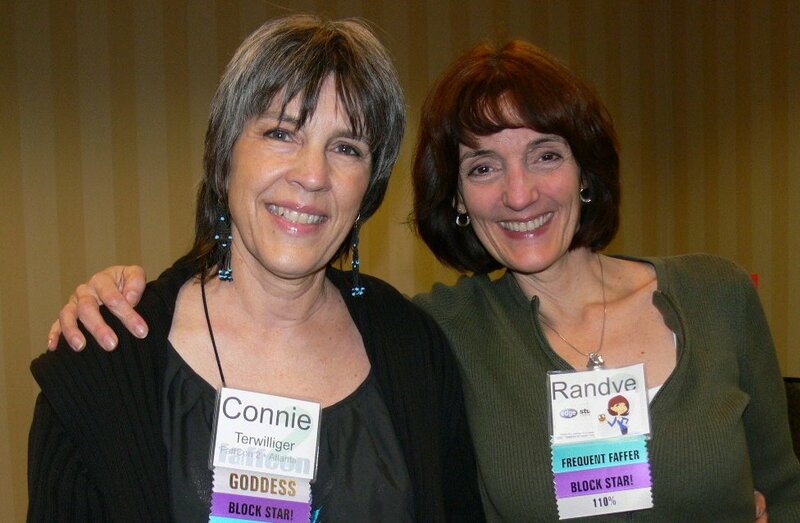 I keep looking at the list of attendees for FaffCon 4 – Ventura Beach and literally clapping my hands in happiness! In less than 2 weeks, I will board the train from San Diego and head up to Ventura for another energizing weekend with some truly wonderful people. Many of the people on the list are returning Faffers. More than half are face-to-face friends/acquaintances. Some I know virtually through social media and am looking forward to meeting them in person. Some names are completely new to me at this point in time. By the end of the weekend, they will not be strangers anymore. I’m a Founding Faffer and have become more and more “involved” with the event since the first one in Portland. I can say without a doubt that each event has surpassed the previous in every way. 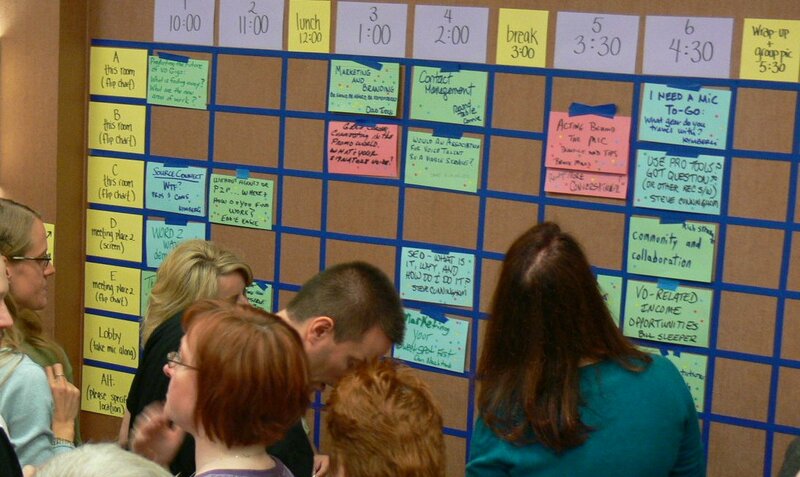 We were all feeling our way here – figuring out how this unconference idea really worked. Loved the little hotel. Loved Portland! By the end of the weekend we all knew that Amy’s idea was a winner – and it worked because all of us trusted the process and each other. The empty grid soon filled up with ideas and off we went. The venue was spectacular – what a striking hotel. Nothing like being up on the 70-somethingth floor! And touring CNN was rather thought provoking. An amusement park mascarading as a news outlet. The actual conference – a party mascarading as an incredible learning experience. The returning Faffers quickly helped get the new Faffers up to speed. We laughed and laughed. And we learned and learned. The weather was balmy. What an amazingly talented group of people. The Jam Session and Karaoke were simply the best entertainment around. As with FaffCon 2, the more experienced Faffers again helped get the uninitiated up to speed when it came to rolling up our sleeves and sharing our ideas. Ventura will be adVenturous and Valuable! There is no doubt in my mind that FaffCon 4 in Ventura Beach will be another unique and wonderful experience! Help me find a few more V words! At some point, perhaps, I will have to miss one, but I am having a hard time figuring out what earth shattering event would prevent me from being there. In fact, I do not want to even think about that, thank you.